The CircuitLab web-app is now supported on modern iOS devices, including the iPad. All of the CircuitLab schematic capture and simulation functionality is available on the supported mobile browsers. While we don't expect most folks to want to design complex circuits on an iPad, we do think CircuitLab on touch-based tablets can be a great addition to a student reviewing or taking notes, editing and testing a circuit someone else sent you, or sketching out a quick idea when inspiration strikes. 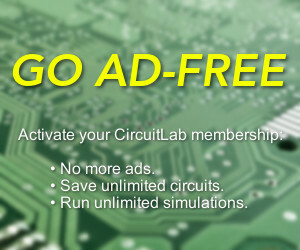 This feature is brand new, so if you encounter any bugs, please let us know on our our forums so we continue growing CircuitLab into the most accessible, easy to use, schematic capture and circuit simulation tool available. 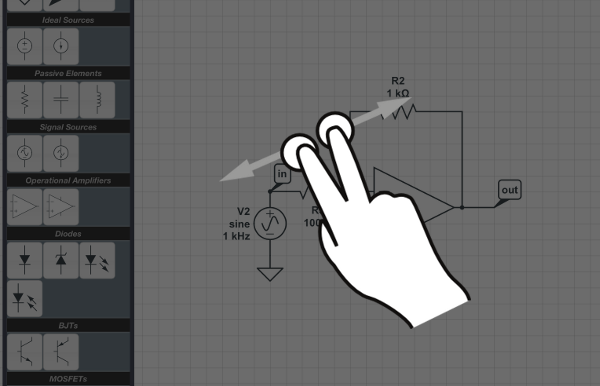 Check out the touch documentation for a little more information about the interface, or jump straight into CircuitLab! @signality Have you tried it / how's their user interface? Please increase support for android devices.